Enjoying the wildlife up White Rock creek. With a special Thanks to the Whiterock Boat Club for hosting us again this year. It’s always a concern during the summer months…. 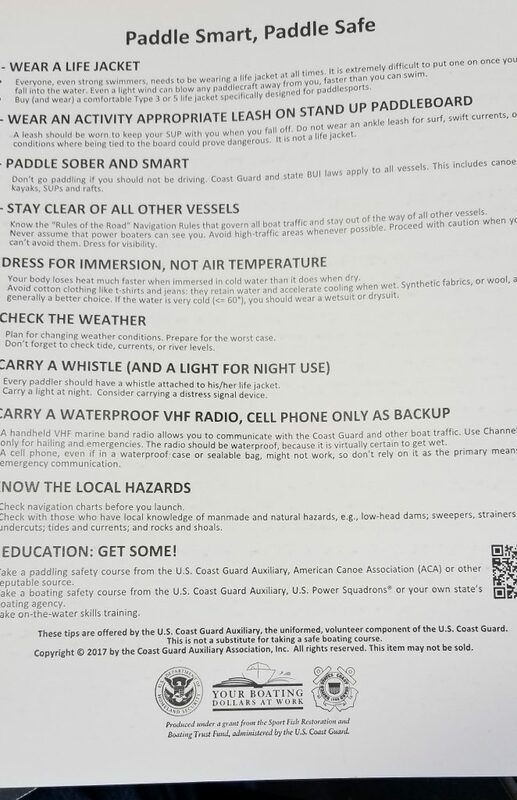 And Thank to Commander Day of the USGCA we have something to help you stay safe and be seen while paddling….. 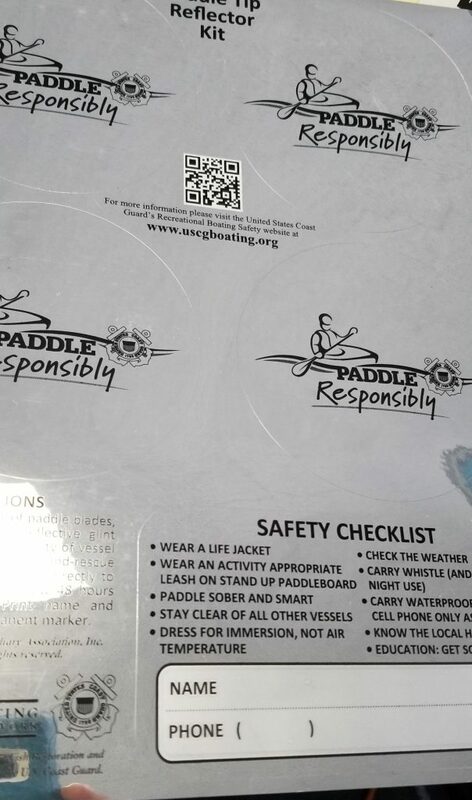 It also has a cool peel and stick safety checklist to put on you boat as a visual reminder too. BUT wait. thats not all…. The back has 10 safety considerations……so its handy before you puck the stickers and its handy after too. And we will mail yours today! They say it’s your brithday…. We appreciate you hanging with KPC for some EFF…Elm Fork FUN! Add some cool clear water and..
We had some fun at the number 1 tree rapid..and its almost runable on river right…but better be able to make more than one move to get thru. Or be paddling a WW kayak! We also made it to shale beach..
Made that short walk to the other end…. And just like magic we washed out troubles…..downstream! Makes you fill like this…..
Posted in Uncategorized | Comments Off on They say it’s your brithday…. Thank Steve and Karen for the pics too! In fact lots of them…those really cool folks that share the values of ecology and science and the most basic of the human existence and curiosity of the natural world we inhabit. And bonus they like kayaking too! With a fun river eco tour! Side note …at 471 cfs the box trap rapid just past the RR bridge is still a handfull… the left run is open but it completely blocked 40 yards down stream so start left then move center to stay in the high oxygen enviroment! Check back for all the photos of the fun and good times from our friends and THE friends of LLELA! Next LLELA run 3rd Sat in June!